HAWTHORNE, Calif. (KABC) -- An abandoned kitten, who was discovered in a mailbox in a Hawthorne animal shelter, is in need of a home. The kitten, Brett, was left inside the mailbox of the spcaLA South Bay Pet Adoption Center back in March. A staffer of the shelter discovered the "mailbox kitten" after hearing mewing, which led her to the mailbox. Fortunately, Brett received immediate veterinary care, and was fostered by a volunteer who bottle-fed him, and is now in good condition. "Abandoning an animal is a crime and very cruel," said Madeline Bernstein, president of spcaLA. "The kitten could have easily died inside the mailbox." 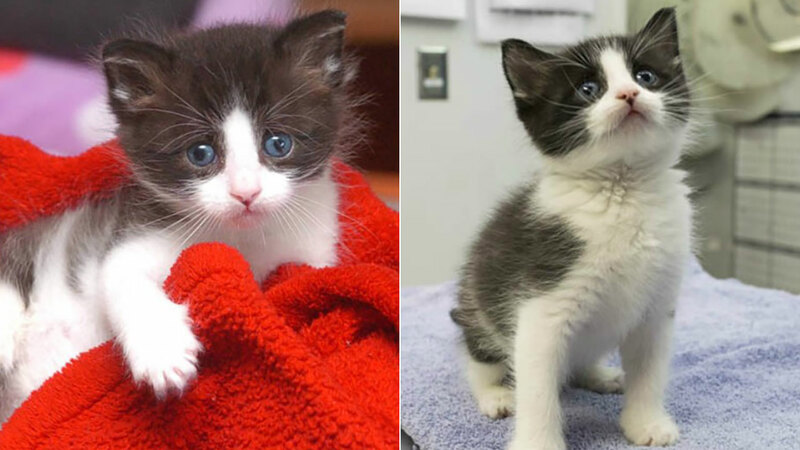 The shelter Brett was found in wants to help more kittens have the same fortune as Brett. People can donate and become a foster volunteer by visiting its website.